In the hinterland beyond China's throbbing east coast awaits a rich heritage of former imperial capitals, Buddhist caves, and sacred mountains. Snow Lion's unique overland trip via rail and road connects these less-visited sites on a cross-country weave from Beijing to Shanghai. 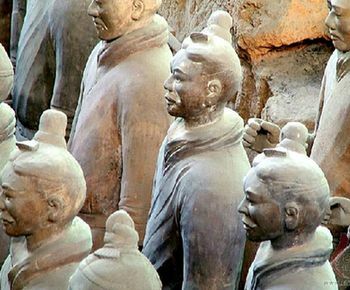 Our first stop is the ancient imperial capital of Datong, location of the 12th-century Buddhist monastery of Huayan Si and the Cloud Ridge Caves, home to over 50,000 statues. We'll wander the narrow cobblestone streets of Pingyao (a UNESCO World Heritage site) and Luoyang (capital of 13 dynasties prior to the 10th century). Further highlights include Xi'an, site of the 6,000 Terra Cotta Warriors; Song Shan, the central sacred mountain of Taoism; the Ming sites of Nanjing; and Tonli water town, before ending our wondrous journey in Shanghai. Day 15: Depart China from Shanghai. - All ground transportation in private air conditioned vehicle with bottled water and snacks on coach. - Services of local guides, site experts, and other support personnel. - Trip cancellation, travel delay or baggage insurance.